Baby’s Gender: We both think it’s a boy. Clothes: I am down to 4 dresses, 1 tunic, maternity capri leggings, 1 pair of maternity jeans, and a few tops. I decided to order a new pair of Lucy workout capris since most of my workout bottoms don’t fit comfortably around the waist. How are you feeling: I am feeling pretty good. I am tired out more easily but otherwise I am feeling happy and healthy. What do you miss: Running- I am still dreaming about it. I also miss sleeping on my stomach and not having to pee every 2 hours or less. Cravings: Lots of veggies. Mashed Potatoes. How are you sleeping: I am actually sleeping fairly well considering I am up every 2-2.5 hours to pee. Workouts: This week I have been on a number of walks and I went to prenatal yoga which honestly wasn’t my favorite class. Why? Well we had a sub because our teacher is also a doula and she was at a birth and I really didn’t love the teaching style of the sub. I had mega heartburn and any time I did any forward bending it became even worse. 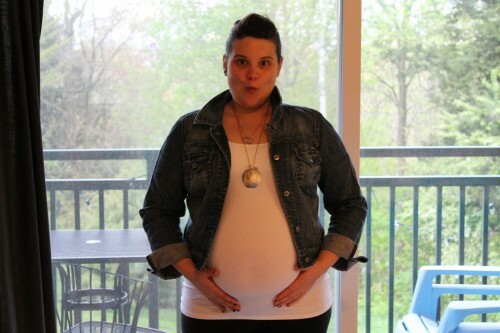 Things I’m looking forward to: Our baby shower and the arrival of our baby! We finally have a header for our family blog and it should hopefully be launching in the next 3-4 weeks! We decided to hire a doula! I plan to blog about this more indepth on the family blog so stay tuned! Yesterday we had our midwife appointment and I found out my glucose tolerance test came back great, that I’m not anemic and that the baby is breech <– midwife says that there is still time for them to turn but if they haven’t by 35 weeks we will have to look into various ways of trying to get them to turn. I can’t wait for them to turn and stop stomping on my bladder! Neil and I are now off to enjoy another pre-baby date night! We are off to the theater to watch This American Life LIVE! You look great & must be getting really excited! 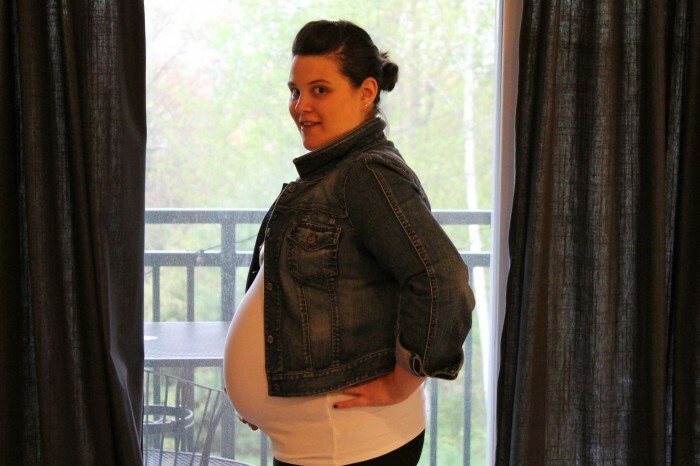 YOu look great for 31 weekS! Getting close now, bet you’re super excited!